French President Emmanuel Macron says he will introduce a new law against the spread of "fake news" in the lead up to elections. 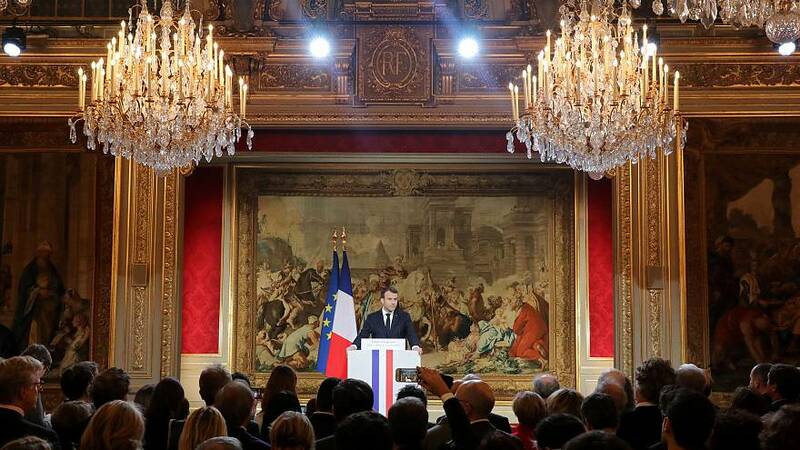 Macron made the announcement during a New Year's address to the press corps at the Elysee Palace in Paris. "I have decided that we will change our legal system to protect democratic life from this fake news," Macron said on Wednesday evening. "During the election period, on the internet, content will no longer have exactly the same rules," he said. The proposed legislation would allow for "content to be taken down, user accounts deleted and websites blocked if needed," he added. Macron wishes to make platforms more transparent regarding sponsored content, as well as, make public the identity of sponsors who control them. Media regulators, such as French media watchdog CSA, would be given more power to fight fake news, said the French president. Macron has been highly critical of Russian media in particular, openly accusing TV channel RT of sowing disinformation about him via its website and social media during the 2017 French presidential election.